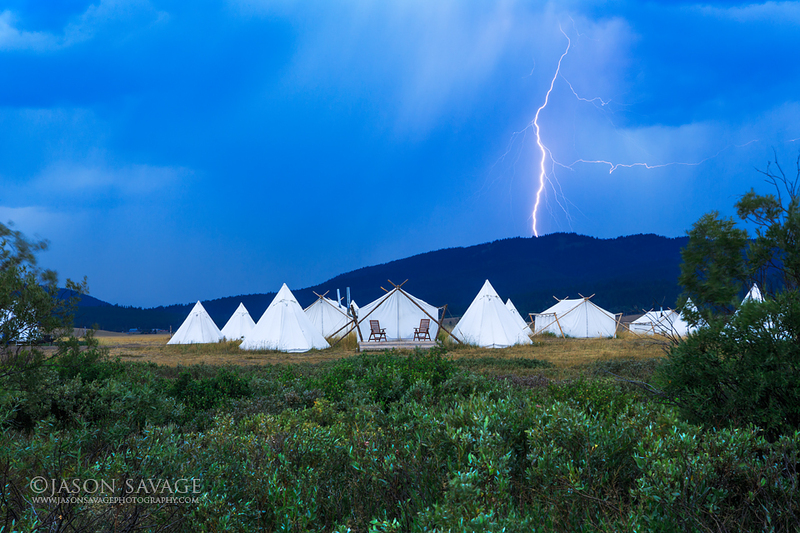 I was out photographing a job yesterday for a Glamping client down near Yellowstone when we had a heck of storm roll in. When you get lemons, make lemonade! Actually I find heading out when the weather is bad makes for some of the best images, adding a bit more drama. Just don’t want to use that tripod as a lighting rod!